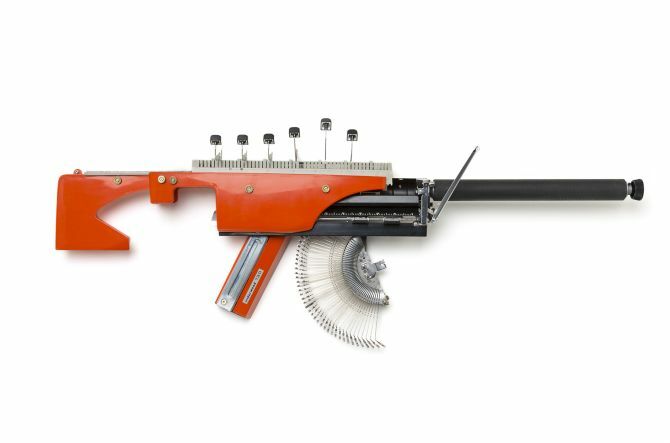 Inspired by the old adage “the pen is mightier than the sword,” the series triggers the idea that words are stronger than arms and had more impact than guns in shaping our history. 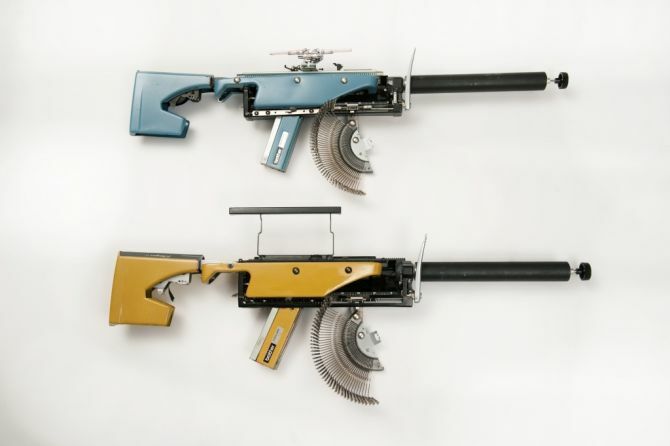 These colored non-functional steampunk guns are made by recycling and reassembling typewriting machines of vintage brands such as Olivetti, Underwood and Royal. 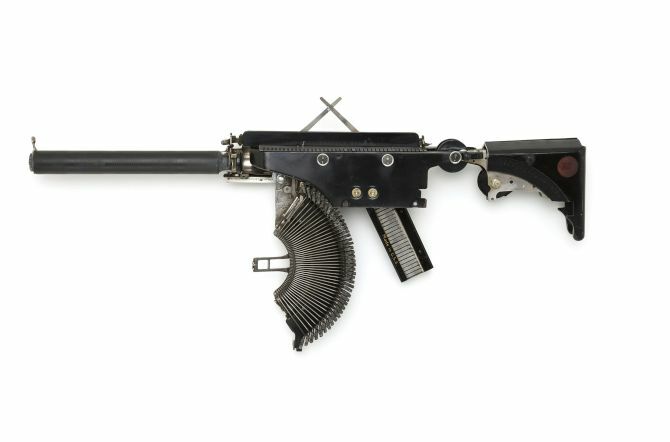 Each and every part of a particular typewriter has been used to construct a specific gun. 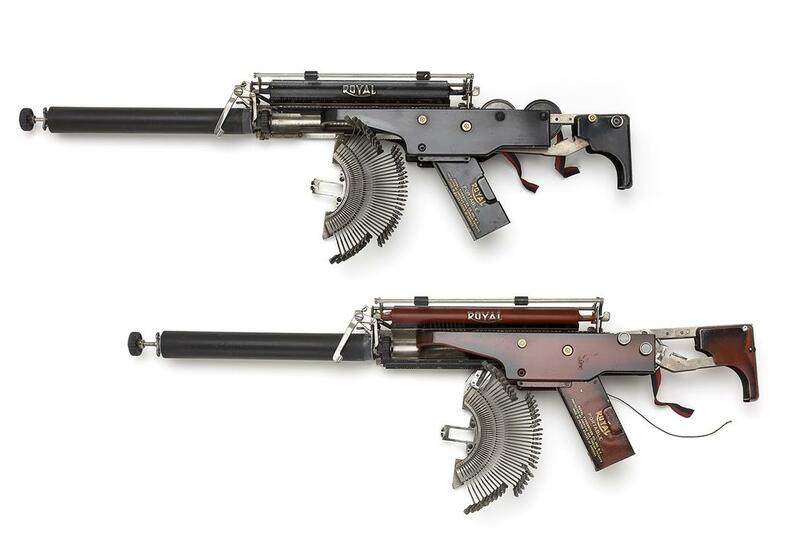 The motivation behind making these sculptures was rooted in Eric’s brain from a very young age. 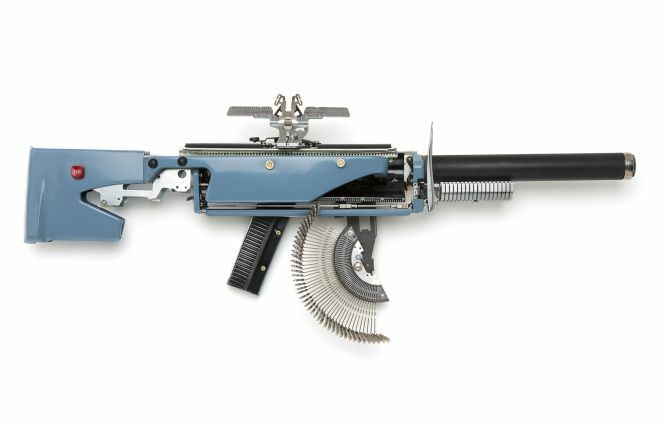 He use to play with his mother’s typewriter when he was young and the sound of key pressing induced the sound of gun shots for him. 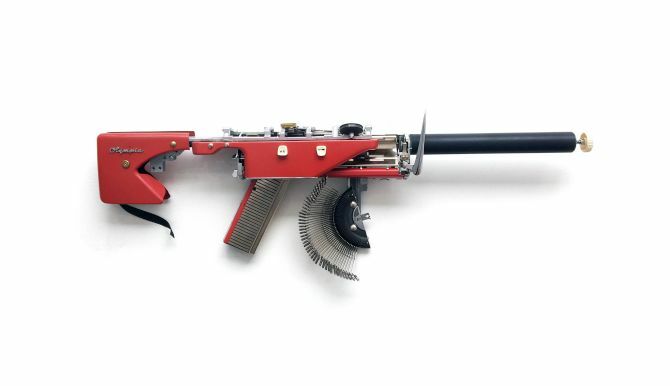 This memory of his childhood inspired him years later to transform these evocative machines into representations of a gun arsenal. 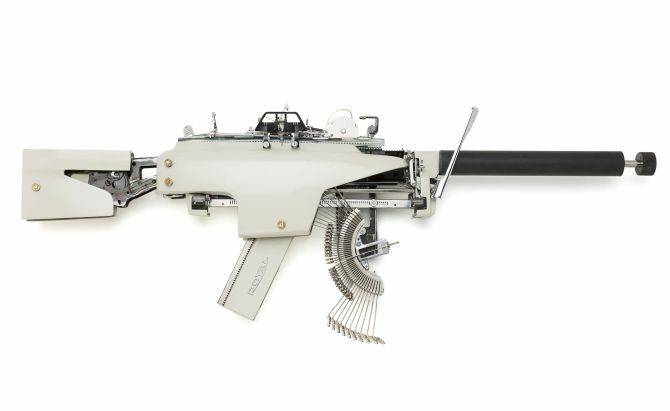 Well, if you are impressed enough and wants a Typewriter Gun by Eric Nado for yourself, get one here for about $2,800 a piece.